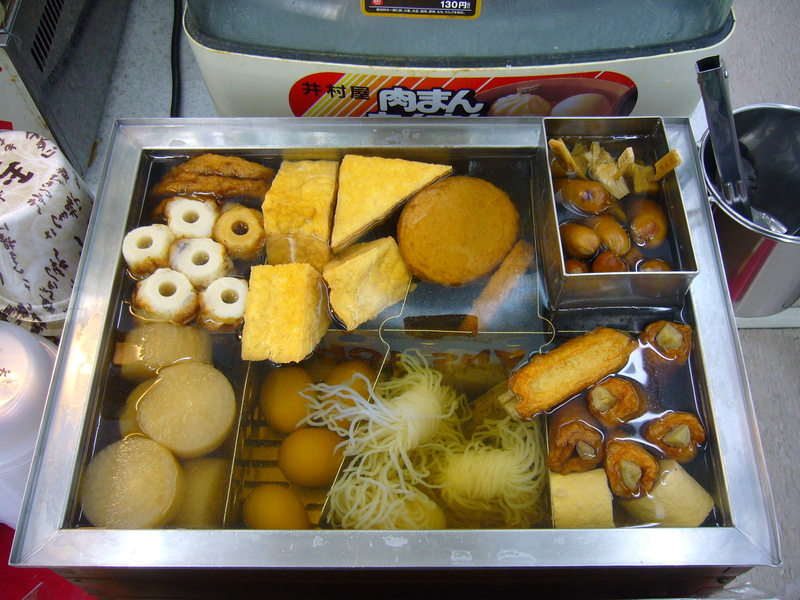 This entry was posted in Culture, Food, Japan and tagged Convenience store, Fast food, food, Japan, Japanese fast food, Japanese winter food, Konbini, Man, Oden, Seasonal food, The seasons, Winter by Haruko-chan. Bookmark the permalink. i LOVE oden. 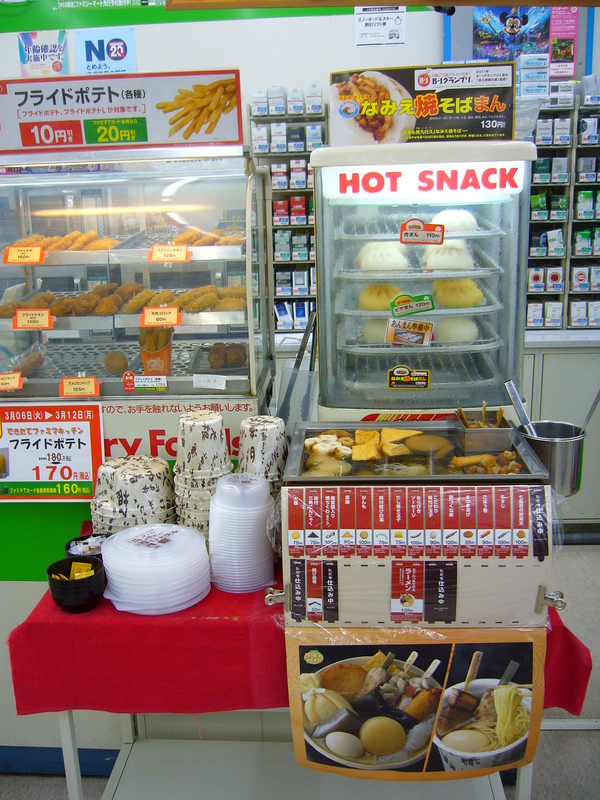 the many lawson shops here in jakarta also offer oden. unfortunately, it’s not a popular item. jakarta is way too hot all year long for the people to appreciate oden. i often try to order some when visiting a japanese restaurant. such a comfort food. Yes, in winter it is great for warming up, and it is healthy to boot! Most Belgian comfort foods are very unhealthy. Oden is one my favourite meals to prepare in a rush if friends or grandchildren drop in unexpectedly. And oden makes for a power packed breakfast. Could you recommend any good oden recipes? I would love to try it at home sometime! I don’t think so though I wouldn’t know as I’ve never made it myself. It’s about getting your dashi right which can differ from region to region. I have seen oden soup that looks horrendously dark which would put people coming from anywhere west of Kyoto off but oden is sometimes called Kantodaki or Kantoni so maybe it’s the way it’s supposed to be. I remember when my mother cooked it there was a piece of dried kelp in the soup (or water to start off?) in the casserole at the table. I know! I think there would be a real market for something like that here in Belgium as well!